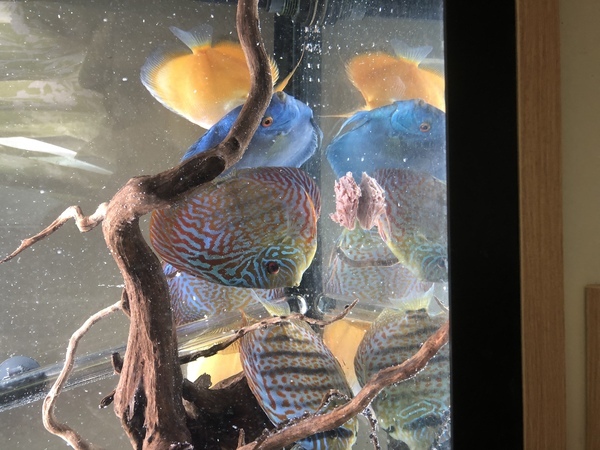 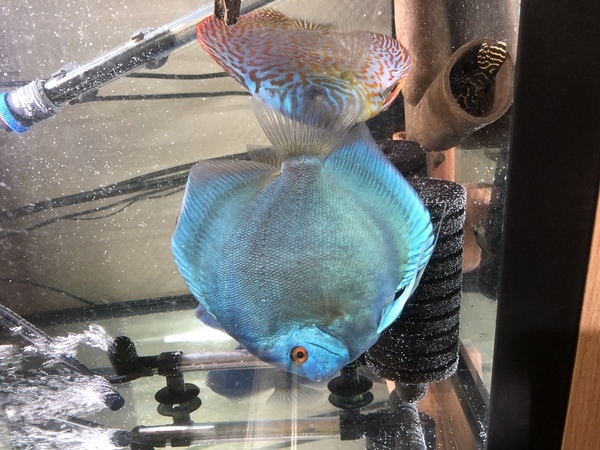 Description: Selling my six discus from francis hu/chens discus. 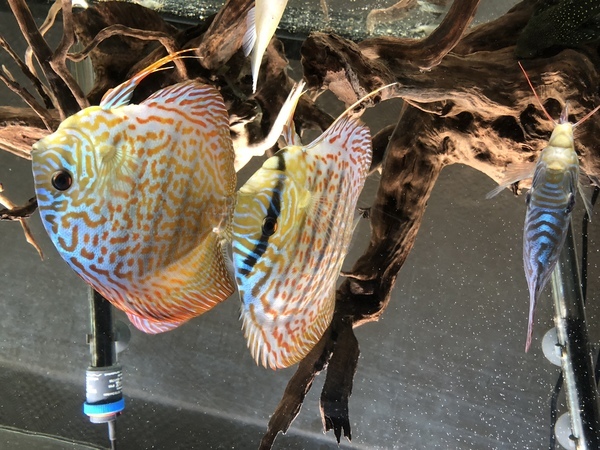 All well over 6” other than possibly the yellow white. 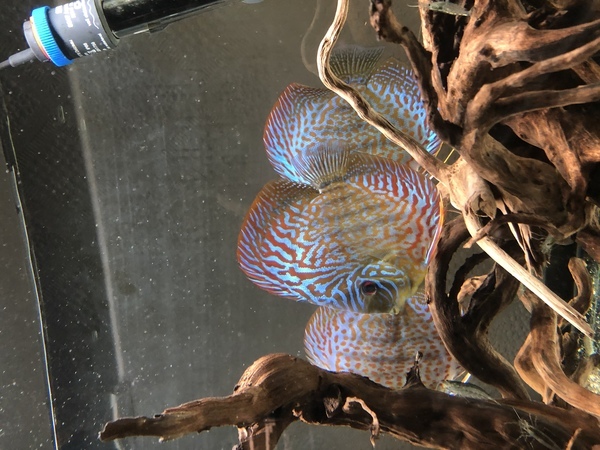 I have 1 blue diamond, 1 yellow white, 2 check board turqs, and 2 spotted leopards.